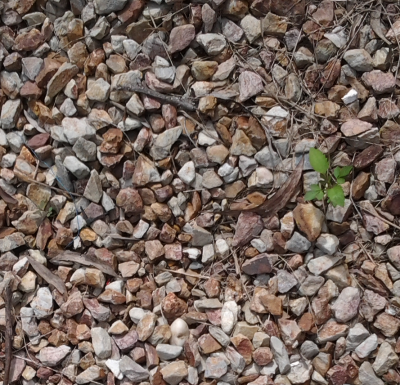 yep, took a photo of the rocks for you. How dreadfully boring, eh? 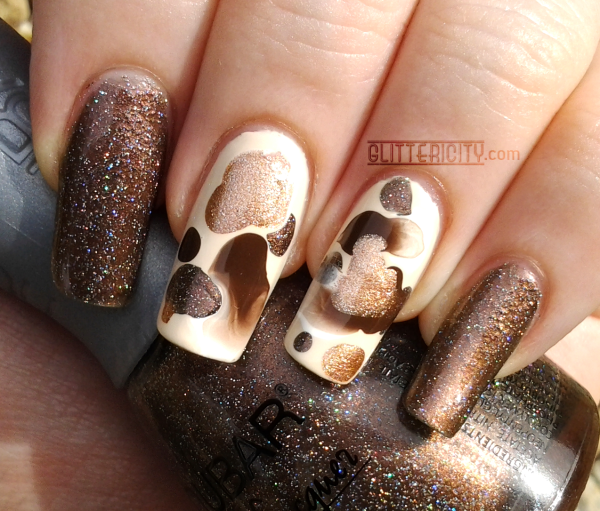 Quite common, but it reminded me of a "pebble manicure" I saw the lovely Meliney demonstrate on YouTube a while back. (Watch it here--it's really cool!) I decided to recreate this idea on a couple of accent nails, while also showing off a gorgeous brown holo from Nubar called Jewel! It looks really textured, doesn't it? It dries quite bumpy, but I have two layers of topcoat over it in these photos. The bumps just still show through the clearcoat, despite it being glassy smooth to the touch. Almost like 3D objects encased in resin. For the accent nails, I started with a base of OPI My Vampire Is Buff, then while that was still wet, used OPI Suzi Loves Cowboys (brown creme), Orly Pointe Blanche (white creme), Revlon #932 Copper Penny (bright copper) and of course, the same Nubar Jewel to blob on the "stones". As you can see, they didn't come out quite like the inspiration video. Maybe I did them too close together, or didn't wait long enough to add the drops. It doesn't look much like stones anymore, but I think it looks really cool! Especially where the brown and white cremes sort of mixed and faded into each other. Just a bit out of focus--this is what you see if you look at it outside. Chocolately brown with rainbow bits. And here's one very blurry, so you really see the explosion of colour!